Epic galactic conflict now fits snugly into your pocket. Fox Digital Entertainment and Angry Mob Games are set to release their new iOS and Droid thriller, Alien vs. Predator: EVOLUTION, on Thursday, February 28th. The app will be available on Google Play, and the App Store for phones and tablets. Two of sci-fi’s most recognizable characters are pitted against each other utilizing third person shooter and melee combat. It’s kill or be killed, as players engage in a war between the universe’s most dangerous inhabitants. Improve your character using a wide array of weapons and upgrades and become the ultimate hunting machine! 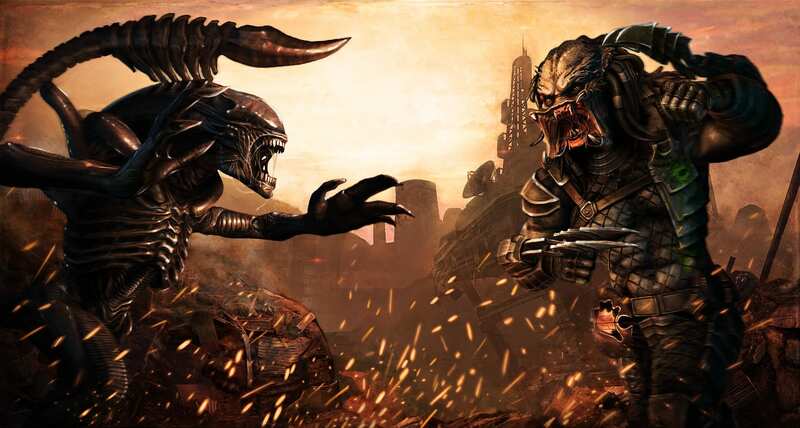 AVP: EVOLUTION begs the question: will you be the hunter, or the hunted? To prepare gamers for their transition into the Alien vs. Predator universe, Angry Mob Games has released the following AVP: EVOLUTION artwork.